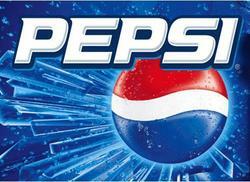 PepsiCo is one of the world's largest food and beverage companies, with more than 143,000 employees and brands available in nearly 200 countries and territories. Its principal businesses include Pepsi-Cola beverages, Frito-Lay snacks, Gatorade sports drinks, Tropicana juices and Quaker foods. Tropicana was acquired in 1998 and PepsiCo merged with The Quaker Oats Company, including Gatorade, in 2001. Its portfolio includes 16 brands, which each generates at least $1bn in annual retail sales. PepsiCo has a very reliable track record and consistently increases its quaterly dividend payout, making it another reliable blue chip for regular income investors.